This scary clown infused motel is located in Tonopah, Nevada and is for sale. 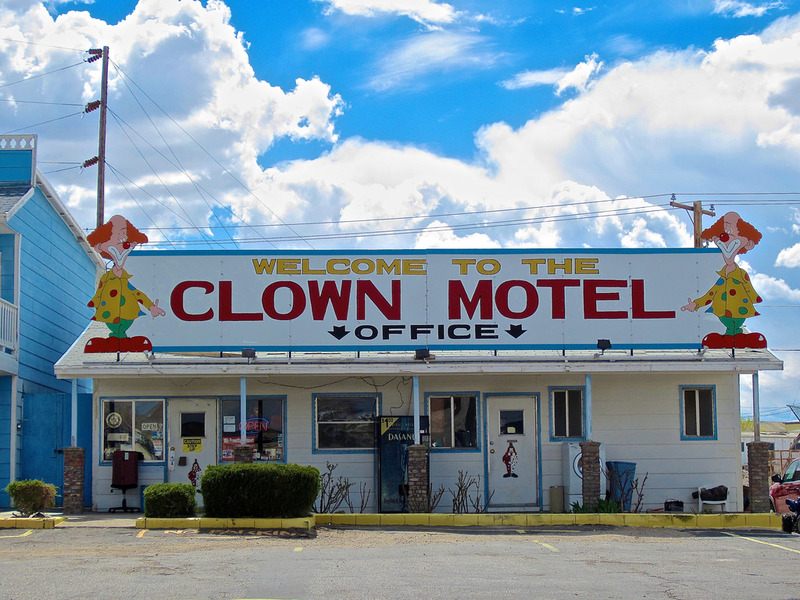 For $900,000 you can own The Clown Motel which is known as the "scariest in America". This place is what nightmares are made of especially if you are terrified of clowns. 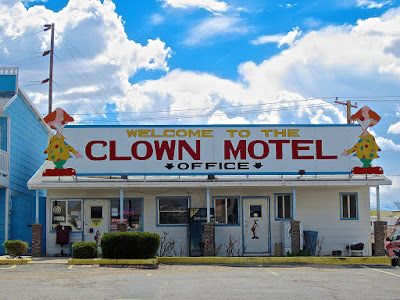 For about 22 years, people would stay at this motel with its endless amount of clowns lining the walls and ceilings of the lobby and rooms. To make things even scarier, the motel sits near an old miner's cemetery. 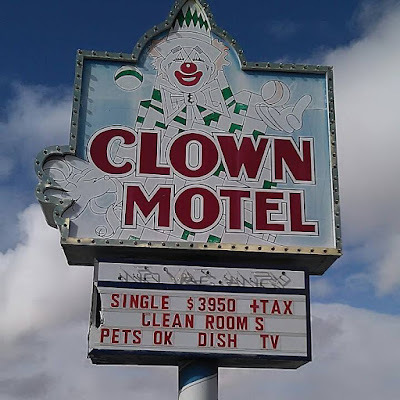 If you want to continue the clown tradition, you can purchase the motel and all of its clowns.